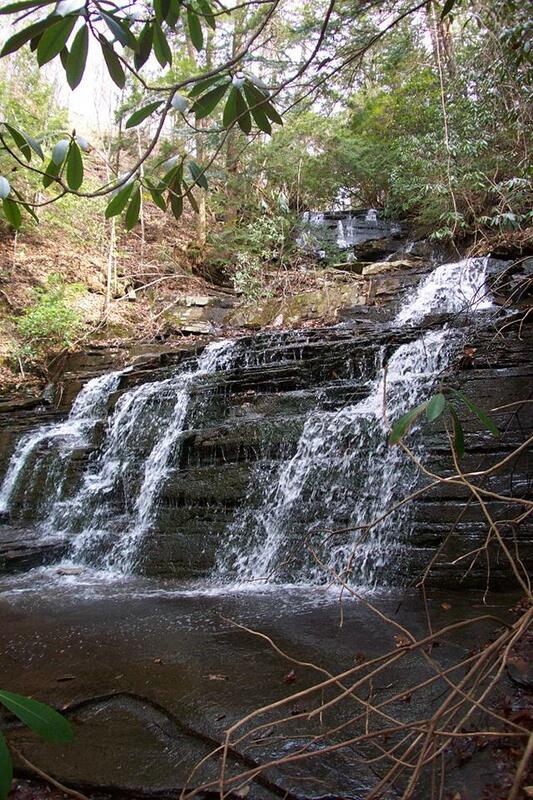 Waterfall Info: This secluded waterfall is on an unnamed tributary of Amicalola Creek and is best seen after periods of rain. Access Info: From the gated end of a DNR road off Highway 53, take the left fork and follow it along the ridge toward Amicalola Creek above the tributary with Holley Falls. When the road dissipates, follow the ridge off-trail (there are some blowdowns) until you reach the edge of the small gorge with Amicalola Creek. You should be able to hear Holley Falls down to the left. A tricky scramble leads to the base - be cautious of the cliffs around the top of the falls.